Insects are experts when it comes to adhesion on dry surfaces. However, in nature, plants may be covered by water for quite a long period of time, especially after rain. 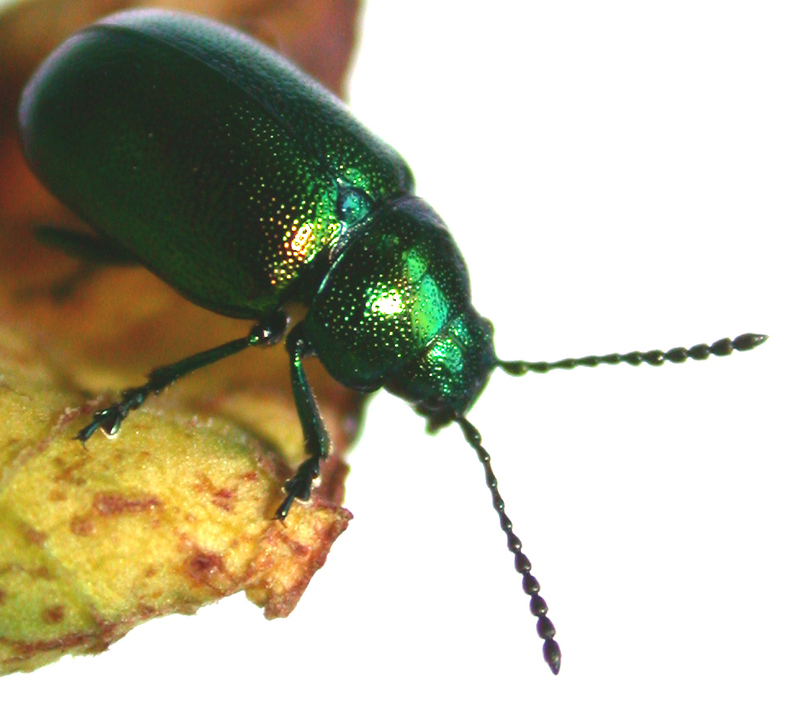 The bionic expert Professor Stanislav Gorb of Kiel University, Germany, and the material scientist Professor Naoe Hosoda of the National Institute for Material Science in Japan, discovered the remarkable ability of the terrestrial leaf beetle to walk underwater. Picking up the beetle’s locomotion mechanism, they designed an artificial material, which sticks to surfaces underwater. Their scientific results are published today (8th August) in the online journal “Proceedings of the Royal Society B”. “It was a productive collaboration with Naoe Hosoda”, states Gorb. “It is commonly known that adhesion between two solids in air can be produced with the help of water. Just like paper that sticks to table when it gets wet.” The liquid surface tension between air, liquids and solids is called capillary force. 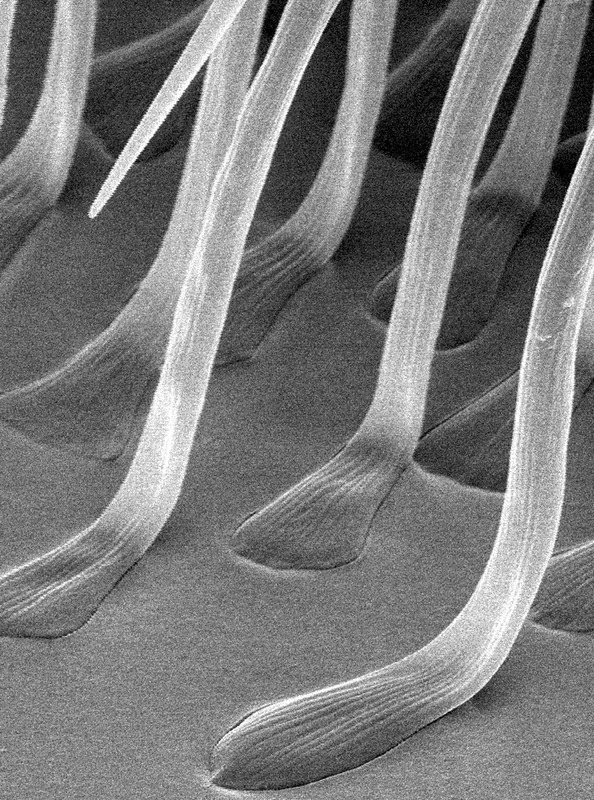 In order to stick to dry surfaces insects use such capillary forces with the aid of their oil-covered adhesive setae instead of water. “The same principle under water remains an exciting perspective, because without air there is no capillary force. The beetle shows us how to do it. It takes air bubbles under water”, explains Gorb. 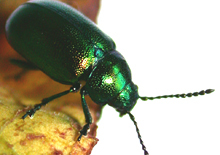 The beetles use air bubbles trapped between their adhesive setae to produce the needed boundary between air, liquids and solids, and thus produce capillary adhesion under water. A necessary condition for this process is some hydrophobic property of the solid. But this is no problem in nature since many leaf tops are water-repellent to some degree, explains the Kiel scientist. Gorb: “Inspired by this idea, we have designed an artificial silicone polymer structure with underwater adhesive properties.” The challenge was to find a possibility to keep air within the material. The solution was a micro structure which produces a material that is sticky underwater without using glue. Probable fields of application can be found in underwater optics or any other kind of underwater technologies. Caption: The terrestrial leaf beetle Gastrophysa viridula is the basis for a new bionic material, which can stick to solids underwater. 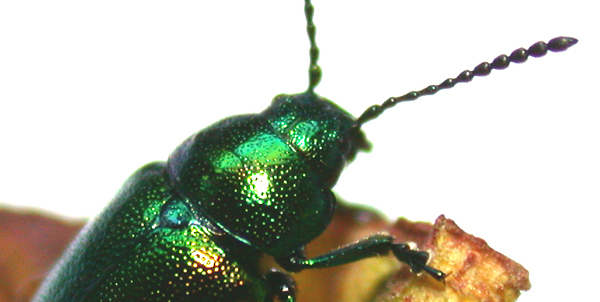 Caption: The beetle’s secret are oil-covered adhesive setae. The picture was taken with a scanning electron microscope. The end of each seta measures about five micrometers. 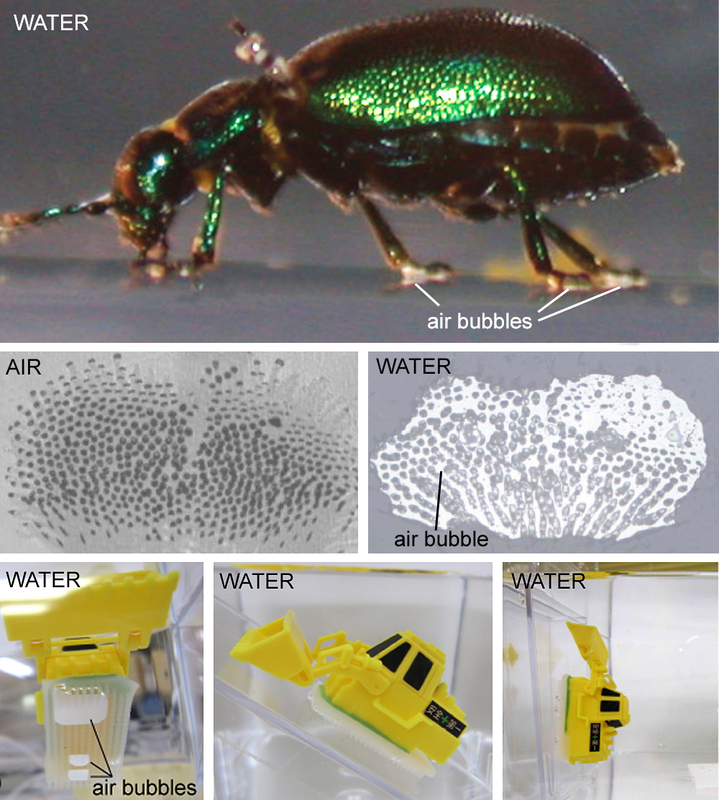 Caption: Top: The beetle walking under water (white arrows indicate trapped air bubbles). 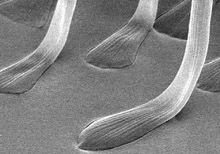 Middle: Beetle feet attached to a surface. On the left it is surrounded by air. On the right it is under water. 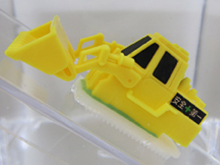 Bottom: A plastic toy bulldozer adhering to the substrate using the structured polymer with trapped air bubbles under water.